The club held its annual holiday luncheon on Saturday December 1st at Chimney Rock Inn, Gillette, NJ. 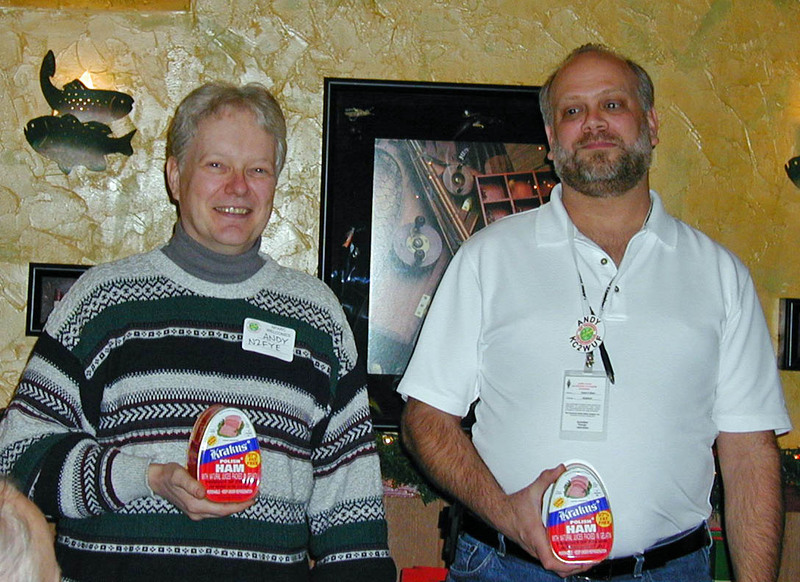 Andy Meyer, N2FYE, and David Bean, KC2WUF received perfect club meeting attendance awards. 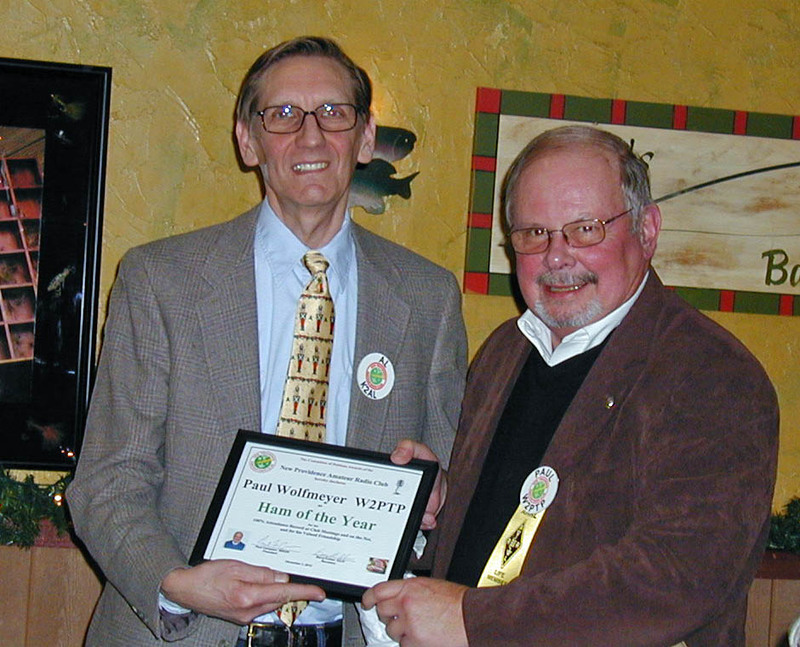 Paul Wolfmeyer, W2PTP, receives the Ham of the Year Award, presented by Al Hanzl, K2AL (left). Paul attended all of the 2012 club meetings and all of the NPARC Sunday Night Net sessions. No other member has done this in recorded history! The new 2013 Officers are presented to the Luncheon crowd. 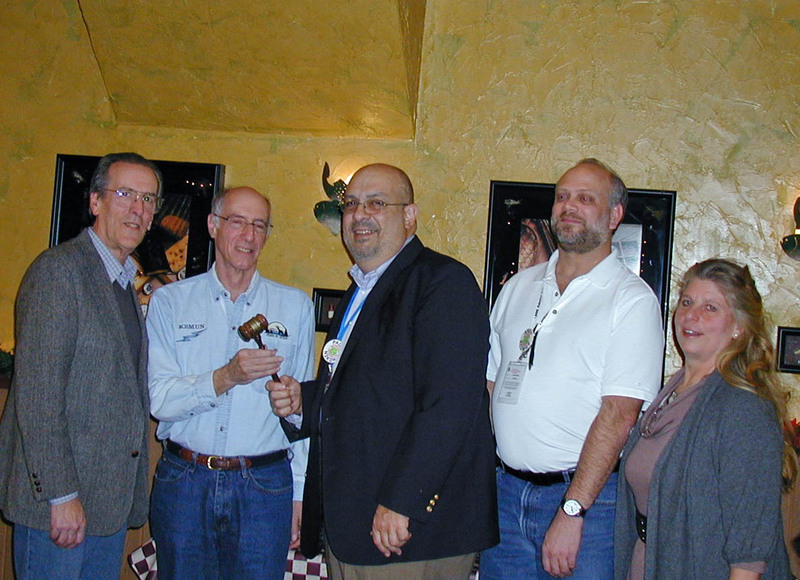 From Left are Dave Barr, K2YG, continuing as Treasurer; David Berkley, K2MUN, incoming President with Paul Campano, N2KDK, current President handing over the official gavel; David Bean, KC2WUF, Vice President and Hillary Zaenchik, Secretary. Absent from the picture is Bill Pointon, WA2CG, incoming Activities Manager who send an e-mail from Puerto Rico that was read to the attendees at the Luncheon. Other Photos will be posted as available.